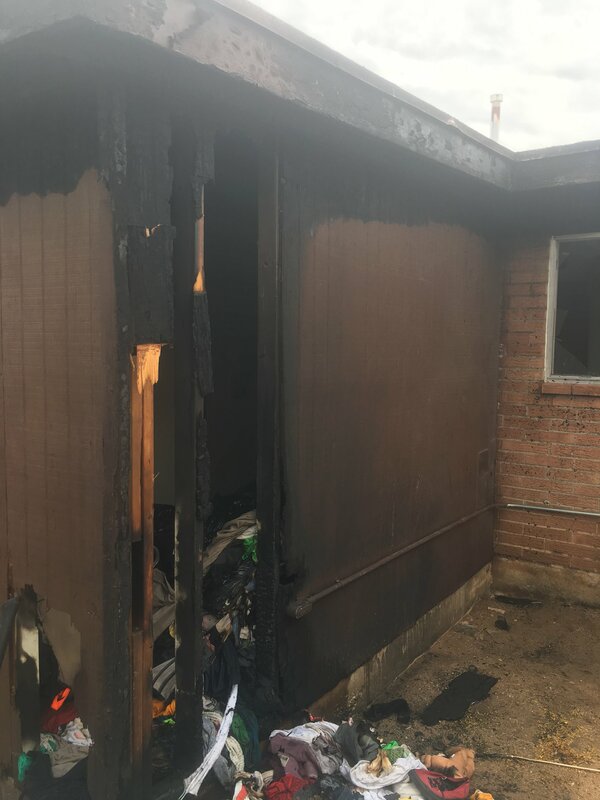 TPD Media Release: Arson and Animal Cruelty Arrest – 6900 block of E. Vernice St.
On May 7, 2018, around 12:49 p.m., officers from Operations Division East and members from the Tucson Fire Department (TFD) responded to multiple reports of smoke and flames coming from a residence in the 6900 block of E. Vernice St. TFD was first on scene and observed smoke and flames to the rear of the home. 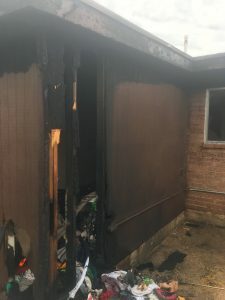 They were able to limit the spread of the fire to the exterior of the home. Ten units and twenty-one firefighters controlled the fire in thirteen minutes. One teenage resident sustained minor injuries. The family dog sustained burns and was initially transported to Valley Animal Hospital for care. 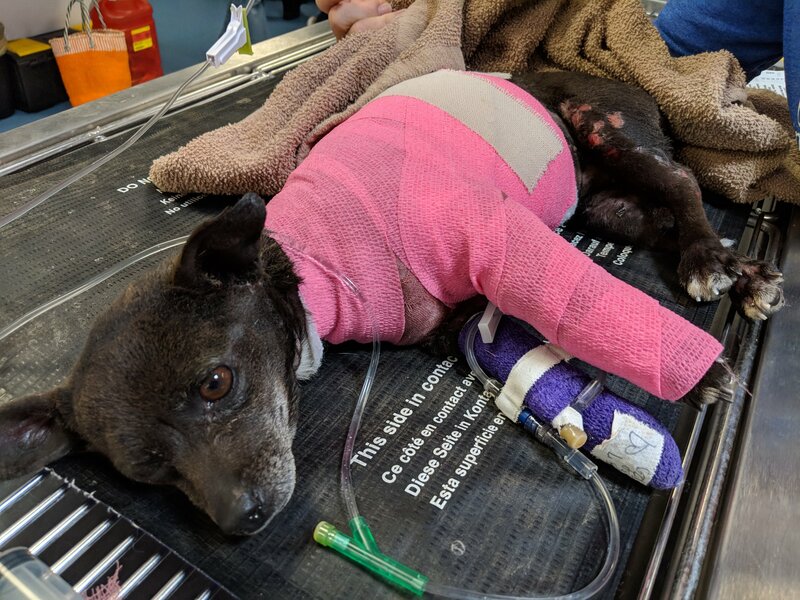 Officers arrived on scene and learned one adult female resident, identified as 39- year-old Dean Sherfield Finley, intentionally set fire to the dog and the home. Investigators from TFD and detectives from the Tucson Police Department responded to the scene to further the investigation. They learned Ms. Sherfield Finley had purchased two gallons of gasoline earlier in the morning and returned to the home. A family member noticed the dog appeared “wet”. As the family member picked up the dog, Ms. Sherfield Finley lit the dog on fire. The family member was able to quickly put out the fire on the dog. Ms. Sherfield Finley then lit the southeast corner of the home on fire causing damage to the storage/laundry room. 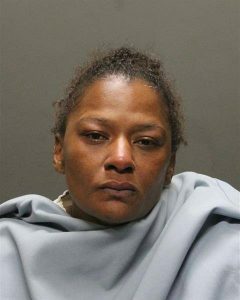 She was arrested for Arson of an Occupied Structure (Class 2 Felony), Criminal Damage (Class 4 Felony) and Animal Cruelty (Class 6 Felony). She was transported and booked into the Pima County Jail. A copy of her booking photograph has been provided. PACC saves thousands of neglected, abandoned, and abused pets like Lovely each year, thanks to community donations to its Medical Fund. To give Lovely the best possible outcome, PACC’s medical team needs to send her to a specialist, which will cost thousands of dollars. For more information on how to help Lovely and other pets like her, visit PACC’s non-profit partner, the Friends of Pima Animal Care Center (https://www.friendsofpacc.org/). If Lovely continues to improve and reaches stable condition, PACC staff advises Lovely will soon need a foster parent who can give her a comfortable place to heal. If you’re interested in fostering pets in need like Lovely, visit PACC’s foster webpage (http://webcms.pima.gov/cms/one.aspx…) or contact a foster coordinator at pacc.foster@pima.gov.